Now that Medicare has completed mailing its new card to people 65 or older in Pennsylvania and Delaware, folks who haven't gotten one should call the agency to make sure one arrives. The federal program has set out to blanket the nation with the new cards by April 2019. Under the schedule for the rollout — the mailings began in April — everyone in Pennsylvania and Delaware should have received their cards in the mail. If not, "you should call Medicare immediately," said Nan Rosner, an insurance agent with Rosner & Associates, based in Elkins Park. 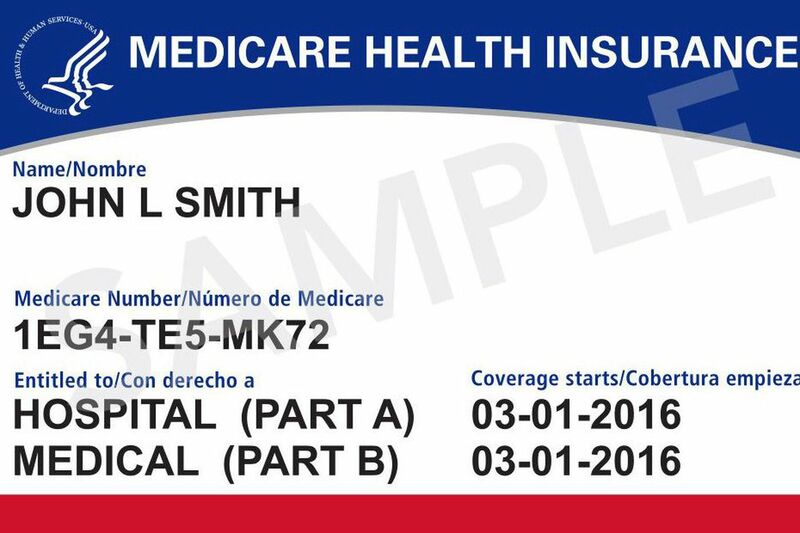 New cards have a Medicare ID unique to you, instead of your Social Security number. Your new card should automatically come to you — just make sure the agency has your up-to-date address. Should you destroy your old card? Probably not yet — as your health-care providers may request that you keep it so they can update their files. "Insurance companies, hospitals, and doctor's offices will probably have to update their computer systems to retain both the old and new Medicare ID numbers thru Dec. 31, 2019, because old numbers may be valid until then," said David Zalles, a Blue Bell-based accountant. Keep your Medicare Advantage Card. If you're in a Medicare Advantage Plan (like an HMO or PPO), your Medicare Advantage Plan ID card is your main card for Medicare. You should still keep and use it whenever you need care. However, you may be asked to show your new Medicare card, so carry this card, too. If you don't get your new Medicare card, or if you have other questions about Medicare, call as soon as possible. "They told me they couldn't verify my mailing address through the post office, although I've lived in the same house for 41 years," Rosner said. "That was a little concerning. I was told it would be mailed out in a few weeks. If you haven't received your card either, then your should call." For more information, visit the website www.medicare.gov/newcard or call the agency directly at 1-800-MEDICARE (633-4227) or 1-877-486-2048 for TTY users. Even though nearly all retirees over 65 are covered by Medicare, out-of-pocket costs are substantial. The typical household spends $197,000 in total for health costs (excluding nursing home care) during retirement years, and some households spend much more, according to a study at Boston College's Center for Retirement Research. Medicare enrollees pay premiums for Medicare Parts B and D and any supplemental coverage, contribute a portion of the cost of Medicare-covered services they receive, and face the full cost of the many services not covered by Medicare (dental and vision). Most recent estimates show that the median Social Security beneficiary enrolled in traditional fee-for-service Medicare spent $3,600 on out-of-pocket payments in 2011, nearly one-quarter of his or her total Social Security benefit. And the Social Security Administration indicates that about 12 percent of the median household's total income is spent on medical out-of-pocket costs (again excluding long-term care). If someone calls and asks you for your Medicare information, for money, or threatens to cancel your health benefits if you don't share your personal information, hang up and call 1-800-MEDICARE (1-800-633-4227). It's a scam. Medicare does not call. So don't give out your Social Security number, date of birth, Medicare effective date, or mother's maiden name, Rosner said. "If you've living alone and you get a call like this, hang up," she added. "These Medicare scams are just the same as the IRS agent scams." To make an appointment with Apprise, for help with Medicare applications and benefits, call the Statewide Apprise Helpline (toll-free in Pennsylvania): 1-800-783-7067. Apprise — Mayor's Commission on Aging: 100 S. Broad St., Fourth Floor, Suite 400. For information, call 215-686-8462. Covered ZIP codes: 19102, 19103, 19104, 19105, 19106, 19107, 19112, 19121, 19122, 19123, 19125, 19127, 19130, 19131, 19132, 19133, 19134, 19137, 19139, 19138, 19142, 19143, 19145, 19146, 19147, 19148, 19151, and 19153. Apprise — Einstein Medical Center: 5501 Old York Rd. For information, call 215-456-7600; Covered ZIP codes: 19111, 19114, 19115, 19116, 19119, 19120, 19124, 19126, 19128, 19135, 19136, 19138, 19140, 19141, 19144, 19149, 19150, 19152, and 19154. The Center for Advocacy for the Rights and Interests of the Elderly (CARIE): presentations about Medicare year-round; counseling during open enrollment. For information, call 215-545-5728.